Three weeks before the end of the presidency of Benoit Battistelli, the European Patent Office published the report ‘Modernising the EPO for excellence and sustainability’, a ‘summary of achievements resulting from the extensive modernisation reforms put in place’ during Battistelli’s term in office from 2010 to 2018. 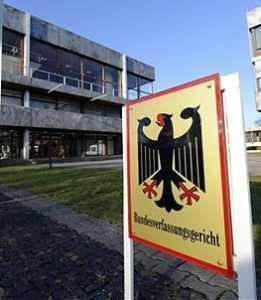 Concerns about quality, the independence of the Boards of Appeal, pending cases at the German Federal Constitutional Court and the endless social conflicts that have tarnished his term in office are downplayed or ignored in the report. ‘Unsubstantiated claims’, was the reaction of an EPO spokesperson to the open letter in which four leading German patent law firms expressed ‘great concern’ last week about the ‘overreaching desire for high productivity’. According to the firms, it will lead to a deterioration of the quality of the search and examination procedures and of patents granted by the EPO. As World IP Review reported, the spokesperson said the EPO ‘takes feedback from all its users seriously’, but ‘surveys carried out by the EPO and independently, as well as an annual quality report, show that the high-quality levels for which the office is known continue to increase further.’ Moreover, ‘the “most important” German IP user associations (…) are “in general very positive about the projects and results of the office’, the spokesperson added. The reaction is typical for the EPO and its president, who have never given any sign they were impressed with criticism of the organization, let alone entered into a dialogue about it. On the contrary, the message above seems clear: the ‘most important’ German IP user associations (which ones, by the way?) are ‘very positive’, so the four law firms are simply wrong! Another characteristic element of the reaction: parts of the open letter, questioning the huge financial reserves of the EPO and referring to a recent petition of 900 examiners (who stated they were prevented by the internal directives from a thorough, complete search and examination) are simply ignored. Everything is excellent, is the central message Battistelli has conveyed during his term in office, and the report ‘Modernising the EPO for excellence and sustainability’ is no exception. As the president writes in the foreword: ‘The EPO of today is a vastly different organisation to that which existed in 2010. We are more competitive, more efficient, more financially secure and ready to face the challenges of tomorrow.’ However, there are several ‘challenges of today’ that the president has overlooked. Against the backdrop of the social conflicts that have plagued the EPO, it is sometimes alienating to read Chapter 4 ‘Modernising working conditions’ of the EPO report: ‘As an employer, the EPO is fully aware that its staff constitutes one of its most valuable assets for delivering high performance over the long-term. The Office is therefore fully committed to ensuring best-in-class working conditions for all EPO employees, to attracting and developing the best talent in Europe and to promoting a constructive and transparent social dialogue.’ Really? Over the last years not only EPO staff members and trade unions have protested and organized strikes dozens of times to protest against the deteriorating working conditions. There were governments and parliamentarians in the Netherlands, Germany and France as well, who warned that ‘the internal unrest has been going on for too long and (…) the situation now needs to improve quickly’, and that the ‘deterioration [of the social climate] is damaging the image of the organization’ (March 2017). 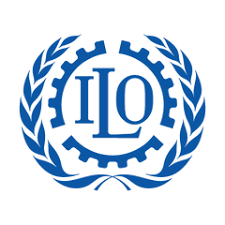 The ILO Administrative Tribunal (ILOAT) said it couldn’t cope with all the complaints concerning EPO labour conflicts (March 2017). In 2015, a Dutch judge found that the immunity of the EPO couldn’t stretch as far as to include the violation of human rights of EPO employees – which was the case according to the judge, although this decision was later overturned by the Dutch Supreme Court (January 2017). Even the EPO’s Administrative Council (AC), which showed its teeth for once, expressed its ‘deep concerns about the social unrest’ in a Resolution (March 2016). 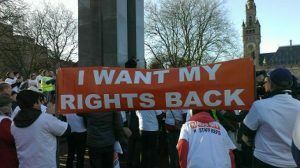 The SUEPO, the biggest trade union at the EPO, filed a complaint against The Netherlands before the European Court of Human Rights (ECHR), arguing it should have acted to end the breach of fundamental rights at the organisation (May 2017). These few phrases alone lead to a lot of questions: Who is responsible for not recognizing SUEPO? For the fact that no CSC election was held? Wasn’t that a task of the AC and the EPO president? Where is a text on the various SUEPO leaders who were sacked or demoted, in two cases contrary to recommendations of the EPO’s own disciplinary committee? And what is meant with the ‘active role’ of the SUEPO, whose ‘active’ members can only be contacted anonymously because of fear of reprisals? Another example: ‘The external perception of the EPO was also being affected by defamation campaigns, public attacks against the core business of the EPO, repetitive attempts to block the proper functioning of internal statutory bodies of the Office, and even threats against moderate staff representatives.’ What does this refer to, who were responsible? In what way was ‘the external perception’ of the EPO affected and does this imply that, though the outside world may think negative things are happening, the contrary is true? Remarkable is the way the independent 2016 Social Study by PricewaterhouseCoopers (PwC) is being quoted in the EPO report. This study was carried out in the aftermath of the AC’s critical Resolution of March 2016 and led to a ‘social conference’ later that year. Only two remarks from PwC’s Social Study (which was never published by the EPO, contrary to its own Social Reports) are included in the EPO report, both positive. Do they reflect the findings of PwC? It is highly doubtful. In 2016, the Techrights blog reported it got hold of the PwC Study and published a table from it, showing broad discontent among EPO employees. One of the gravest omissions in the social paragraphs is the case of the Irish judge Patrick Corcoran, who was suspended late 2014 pending investigation of various allegations, including dissemination of defamatory material against Battistelli. After three long years, including a fruitless attempt of the EPO president to have Corcoran fired illegally (described in detail here), the ILOAT decided in December 2017 that the judge should be reinstated in his post and paid damages. As reported yesterday on this blog, by that time he had already been acquitted of all charges by German courts. However, Corcoran’s term of office in Munich was almost over in December 2017 and it was not renewed. Instead, he was offered an unrelated post in The Netherlands, where he has never lived. Sadly, it seems Mr. Corcoran’s health has suffered severely from the situation and he has recently been admitted to a psychiatric hospital. Reports about psychological pressure and an atmosphere of fear at the EPO have been rife. In the PwC table as published by Techrights, the text: ‘Consideration is given to my opinions about decisions affecting me at the EPO’ scores worst of all. During Battistelli’s term in office, five people committed suicide (transcript of a German documentary about one of them, Wolfgang Schiessl, here). The SUEPO called for an independent investigation but the president refused. He told website Politico the union used the issue to exert pressure to reverse his efficiency measures and get him removed. It “is not a trade union, it’s a mafia-type entity. (…) They used to control the office and they want to continue to control the office”. After a suicide at the The Hague Branch, he also blocked an investigation by the Dutch labor inspectorate, invoking the EPO’s immunity. The EPO under the leadership of Battistelli shows why the diplomatic immunity of an international organization can be very problematic. The German current affairs magazine Cicero recently wrote: ‘places come into being which are essentially almost outside the law, where only the rules apply which the particular organization has created for itself. If all goes well, the conditions of the job are something to dream about. But what happens if a system of despotic government comes into being within these authorities, under which nobody can protect themselves against pressure, bullying, or even contraventions of human rights?’ (German original, English translation). Employees who are in conflict with the EPO can invoke the ILOAT, but as Thorsten Bausch of Hoffmann Eitle explained earlier on this blog: ‘this Administrative Tribunal is (a) no fact finding court and (b) only admits an appeal if all internal means of redress have been exhausted. The former is completely unsatisfactory, because it is very often the proper establishment and assessment of the relevant facts that is decisive for a lawsuit. The latter is equally strange because it may result in a complete denial of an employee’s rights (…)’. Financially however the BoAs are far from independent from the EPO president; the president of the BoAs can only be appointed by the Administrative Council, if the EPO president agrees to propose him/her; the BoAs cannot normally overrule Administrative Council decisions, even if these are in violation of the letter or spirit of the European Patent Convention or human rights in general, and the president of the BoA is subject to the hierarchical and disciplinary authority of the Administrative Council. The functioning of the Administrative Council is a problem in itself. It is supposed to be the governing body of the EPO and to supervise the president, but in reality it seems just one man governs everything and everybody: president Benoit Battistelli. The deficiencies in the organisational structure (or, more correctly, the fact that so many EPO employees have now been confronted with these deficiencies), have provided the basis of four constitutional complaints against the EPO before the German Federal Constitutional Court (FCC). In an earlier blogpost, Professor Siegfried Broß, a retired FCC judge and patent expert who rendered a long and scathing opinion on the EPO in one of the cases, said: ‘When the Member States of the EPC [European Patent Convention, on which the EPO is based] entered into an association, they completely disregarded the obligations imposed on them for many years by national constitutional law, by the European Convention on Human Rights (ECHR) – for all member states – as well as, for all EU member states, by the EU Charter of Fundamental Rights.’ There could also be consequences for the future Unitary Patent system, in which the EPO has an important role to play. Again, this is not the whole story. We have already commented on the letter of the four German patent firms. Unsubstantiated claims? The four file more than 9500 patent applications every year, so they should know what they are talking about. Further firms have joined their initiative or are expected to still do so. The same applies to the petition of over 900 examiners. More questions about quality were raised in this blogpost. The EPO has not given signs it takes this kind of user feedback serious. Every decent modern international organization will claim it works transparently. The words transparent and transparency are used in the EPO report 28 times. Nice! After years of social conflicts and after all the criticism of the office, it would be very interesting to hear from the Administrative Council, or from its delegates from the 38 member states, why they think the president did a good job and why his achievements are more important than what went wrong – and if they agree that some things went wrong at all. In all transparency, they could discuss the future and whether Thorsten Bausch’s New Year wishes for the EPO deserve to be taken seriously. But accountability is a rare thing at the EPO. The three-monthly meetings of the president and the Administrative Council, where many important decisions are made, are behind closed doors, and no one is allowed to know more about what happened than what is described in remarkably uninformative communiqués. Was it decided that president Battistelli should receive a bonus of 600.000 euro apart from his yearly salary, during or in the verges of the AC meeting of March 2018?, Kluwer IP Law inquired. ‘As for the outcome of the AC I can refer you to the statement published by the Administrative Council on our website’, was the answer of the press office. In labour conflicts the obligation not to speak about them or face dire consequences, seems to be common practice. ‘In 2010 the EPO faced a number of challenges’, but since it has been successful in ‘mastering its own destiny’, according to EPO president Battistelli in the report on his legacy. It sounds impressive, but his successor Antonio Campinos, who starts in office on 1 July 2018, is hopefully aware that very impressive challenges are waiting. Restoration of trust, normalization of the social relations are the first of many important tasks lying ahead of him. For regular updates, subscribe to this blog and the free Kluwer IP Law Newsletter. Nope, the decision has not been toiched, the Supreme Court decided, that the organization’s immunity is a higher good, and that the union has, through its members, sufficient acces to recourse (through AT-ILO), and that therefore Dutch judges have no right to decide anything regarding international organisations with immunity. 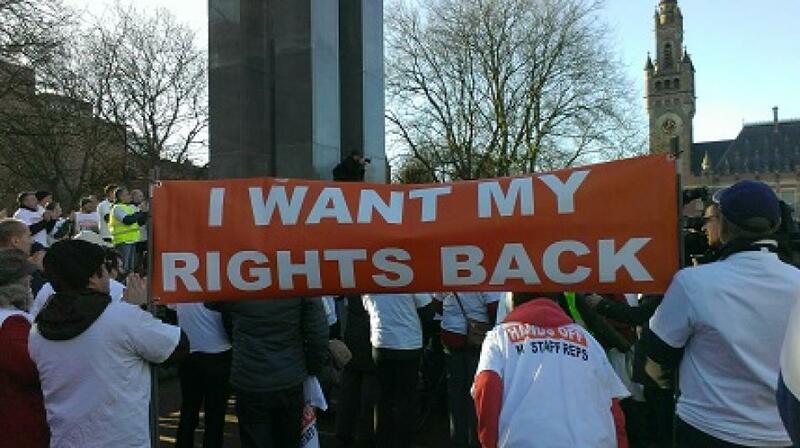 The deciosion of a lack of Human Rights has not been reversed by the Supreme Court. Wow. Three excellent posts about the EPO in less than a week. Nobody else apart from Techrights had the guts to do this since years. We don’t know why you decided to write them. Who you hope they will be read from. Whether they will ever make a difference. But I can tell you that we examiners and judges at the EPO are very grateful for what you are doing. Thanks to you we now have some hope that starting from next month, things might get better after all. Management’s heads will be falling soon. This has to be the first decision the next president must take. Otherwise he will also be the last president of the EPO. As we read here yesterday (thank you) defamation suits brought by individuals at the EPO rightly failed. So that wasn’t a defamation campaign. And defamation is to be tested under national law and at least in the UK a public body like the EPO cannot sue for defamation, under the Derbyshire principle. Otherwise there would potentially be supression of criticism of public bodies. So the claim about defamation campaigns is either untrue (individuals) or impossible (organisation). Either way it has no place in the report. Paranoid/malicious nonsense. 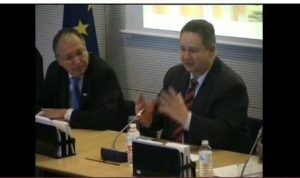 it must be hoped that among the several priorities, President Campinos will want to redress the situation for ALL abusively sanctioned staff representatives (and among them many SUEPO Officials) since they were chased being opponents of Battistelli and sanctioned after extravagant procedures. How else do you want to send a positive signal to both EPO workforce (whose representative were attacked brutally) and the world (since the EPO reputation has a brutal employer is now spread around the globe). I have been looking for an answer: Why is that EPO has cut or frozen all positions for new examiners? Applicants that went through the whole process recruitment (and that waited months), after receiving a positive reply, were afterwards just told that the position was not available. Do they just advertise jobs that don’t exist? Techrights: do no copy-paste this! Nope. Management was not able to pish through the legal framework to fire employees at will, and knowing that they already did overrecruit, management had to postpone recruitment of new staff. They only have “examiner” or “formality officer”. My career as patent attorney goes back to the early 1970’s. I remember the pioneering days at the EPO and the building of an organisation that was the world-wide benchmark for patent administration and law. Pure exhilaration! A rare example of Europe doing something better than countries elsewhere in the world. And I have seen how, in the last few years,how it has all come to be trashed. But who exactly is to blame, for this wanton and wilful destruction? Readers, that’s always the problem, isn’t it. Take the disgraceful gutter press in England? Their defence is that they have no alternative. To survive, they must print garbage, because that’s what readers demand, what creates a market for their papers. Now, who creates the gullible readers that demand the myths and untruths the papers print? Must we blame the schoolteachers? Likewise, what sort of organisation appoints as its President the complacent and self-satisfied man that this month moves out of his self-commissioned presidential palace on the banks of the Isar? Is BB’s defence that he was merely delivering the wishes of his employer, the EPO’s owners, its Administrative Council? Must we place the blame at the AC’s door? When we see how the AC relates to the incoming new EPO President, we shall be able to reach a better-informed opinion, who to blame for the shameful trashing of the EPO. BB wanted power so he did the AC’s bidding to become ‘the man’ – see introducing the audit committee and becoming Chairman of the AC. But as soon as he got the job, he rid himself of the oversight of the audit committee and moved aside those who supported that committee. In an unguarded moment, he revealed to the French press that for the first time (unlike as a civil servant), he had nobody to bow to and was free to carry out his own (ENA) philosophy. After that it was just a case of throwing enough scraps to enough countries to neuter the big guns of the AC. Job done. What Cynic writes makes much sense to me. But I must say, I wonder how much the incoming President has learned from BB’s methods. And now that the AC members have become accustomed to their “scraps” will they not demand even more “productivity” in this direction, from the incoming President, the Big Man, the wielder of unlimited, unconstrained, supra-national power, against which Cynic’s “Big Guns” of the AC are paper tigers? What reasons are there, for supposing that anything will improve, under the new Presidential “regime”? The situation at the EPO as described by Vincenz Weber is concerning. But let’s not focus only on Battistelli’s behaviour. The trend of managing public organisations in terms of processes expected to deliver quantitative targets is rather general and its toxic effects are well documented. There is a need for the incoming president to shift priorities. This should not be limited to relationships between the management and examlners. He should bring back to the fore the key values of professional pride, team spirit and mutual training and ensure that these values are not compromised by production targets.